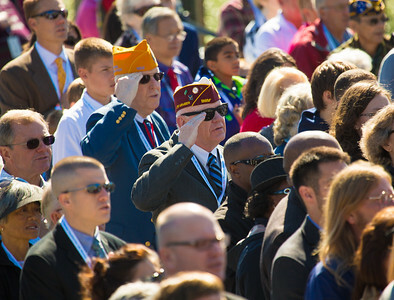 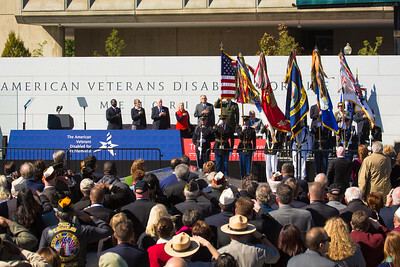 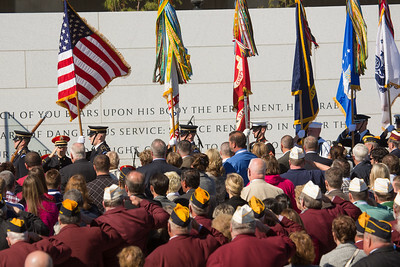 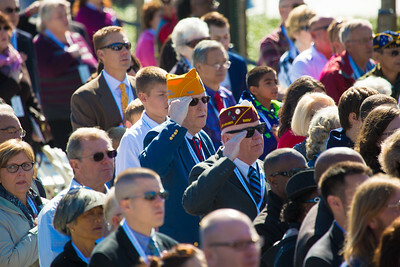 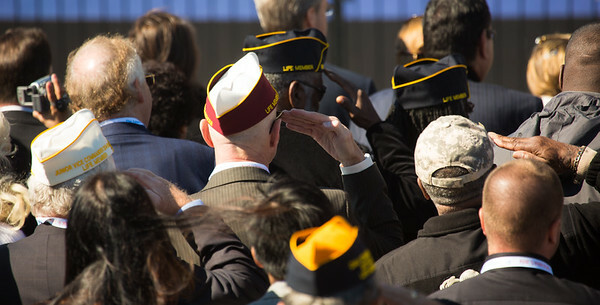 The new American Veterans Disabled for Life Memorial came to life on Sunday, Oct. 5, under clear skies with a solemn dedication ceremony attended by President Barack Obama and scores of disabled veterans. 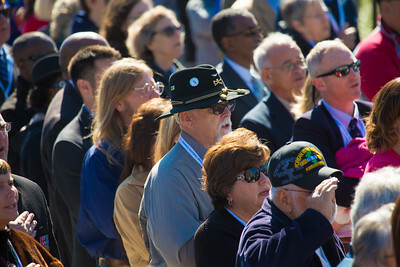 The new memorial is the first of its kind to recognize all veterans, those with physical injuries and invisible ones, such as post-traumatic stress disorder. 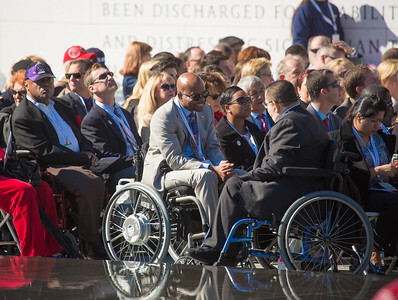 The president challenged all Americans to remember what they owe to veterans, particularly those that are disabled. 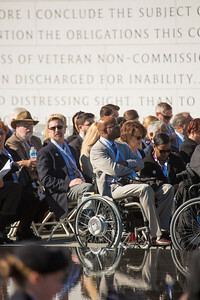 And that includes, he said, an obligation to "never rush into war," but to do so only when it is "absolutely necessary." 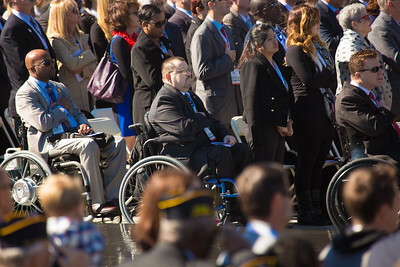 "To every wounded warrior, to every disabled veteran, thank you," Obama said. 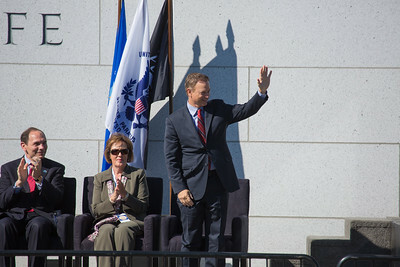 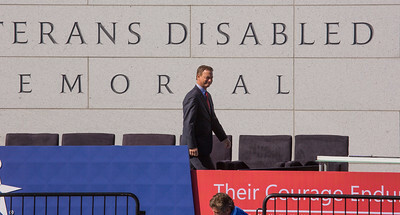 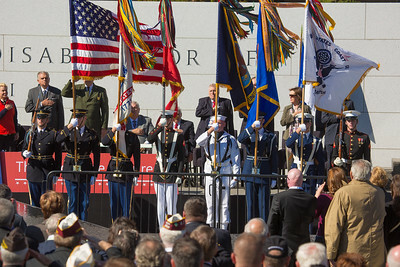 Also participating in the ceremony were Robert A. McDonald, Secretary of Veterans Affairs; Sally Jewell, Secretary of the Interior; national spokesperson for the memorial, Gary Sinise; and board members of the Disabled Veterans’ Life Memorial Foundation, the organization that’s been instrumental to bringing Washington's newest memorial to life. 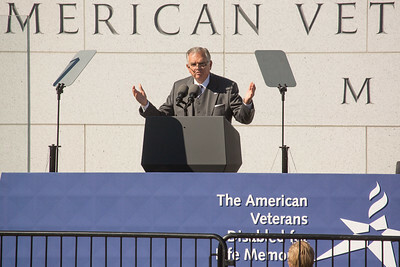 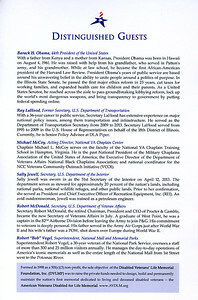 Former Transportation Secretary Ray LaHood served as master of ceremonies. 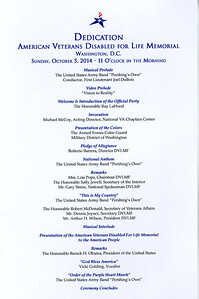 The United States Army Band "Pershing's Own" performed. 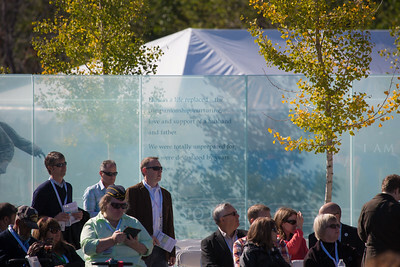 This 2.4-acre, granite-and-glass monument to service members who have been wounded in battle was 14 years in the making. 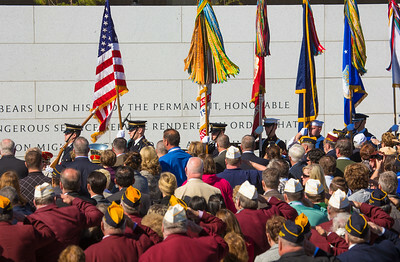 Congress adopted legislation establishing the memorial on Oct. 23, 2000. 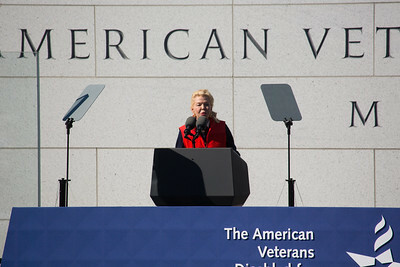 It was the initial inspiration of philanthropist Lois Pope, former U.S. Secretary of Veteran Affairs Jim Brown and the National Adjutant of Disabled American Veterans, Art Wilson. 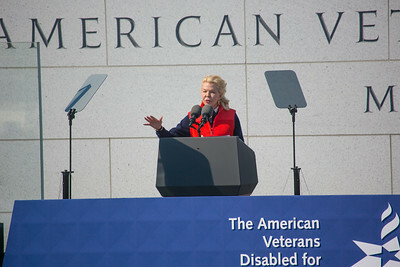 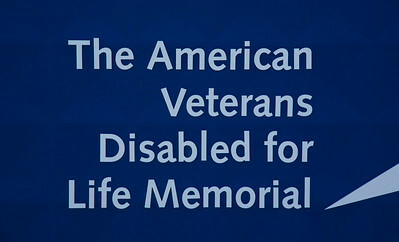 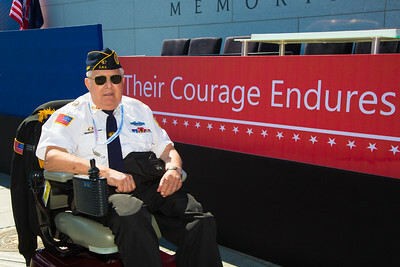 (Together, they created the Disabled Veterans Life Memorial Foundation in 1998.) 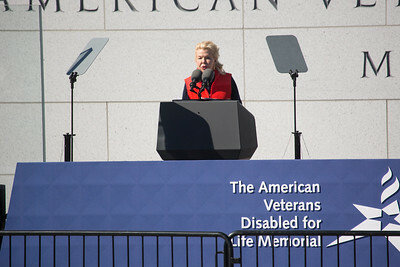 Pope donated $10 million herself and helped raise the rest from private donations to reach the $80 million that was needed. 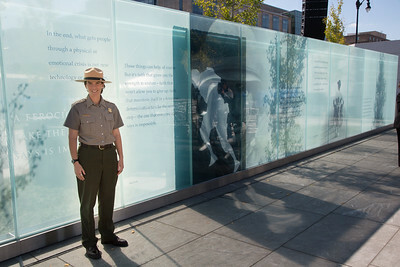 The structure of the memorial symbolizes the people it represents. 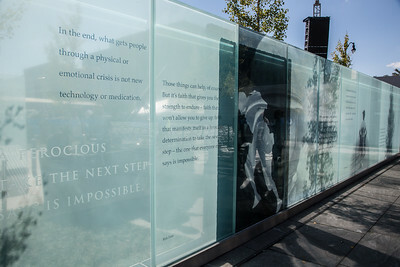 Architects used granite and glass to convey strength and vulnerability. 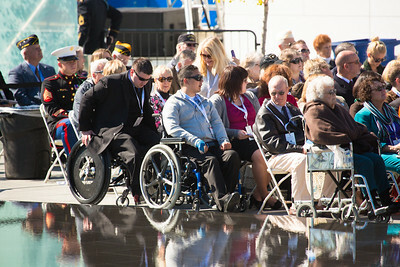 A reflection pool shows a star with a single flame in the middle and a grove of trees stands to show the persistence in hope.